Share the post "What’s in Season from the Garden State: Celebrating Over 100 Years of Ag Innovation and the NJ Farmers that Helped"
For a university that has been around for almost 250 years, big anniversaries are a good time to gauge progress and reflect on past accomplishments. While Rutgers University still has another two years to go before its actual 250th anniversary (it was established in 1766), the year 2014 marks two milestones that reflect the university’s mission of supporting New Jersey agriculture and disseminating practical knowledge to promote the well being of the residents it serves. First, this year marks the 150th anniversary of Rutgers being designated New Jersey’s land-grant institution, leading to the establishment of the Rutgers Scientific School (now School of Environmental and Biological Sciences) in 1864. This was enabled by the passage of the federal Morrill Act in 1862, which created at least one institution in each state that received a land-grant to fund education in the liberal arts, agriculture and the mechanic arts. When the New Jersey legislature designated Rutgers the state’s land grant institution, Rutgers’ connection to the state’s agriculture and its role in scientific research was greatly enhanced. The other noteworthy event this year is the 100th anniversary of the signing of the federal Smith-Lever Act in May 1914, leading to the creation of the national Cooperative Extension service. Essentially, this Act paved the way for the research and expertise of the land-grant institutions to be disseminated to state residents through county Cooperative Extension offices. Rutgers tagline, “Jersey Roots, Global Reach,” aptly describes the impact of agricultural innovations at the university. The development of new methods, equipment and plant varieties coming from Rutgers New Jersey Agricultural Experiment Station (NJAES) has been robust. Few may realize that some of the agricultural products and technologies in use worldwide today were developed at Rutgers NJAES. 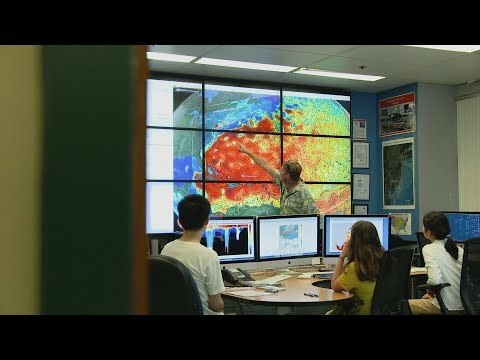 Even less well known is the fact that while university agricultural researchers toiled in their labs or research fields on their developments, New Jersey farmers were working closely with the scientists to test these advances on their own farms, providing essential data to the researchers. These growers took the financial risks to test these innovations on the good faith that they would lead to improvements in their commercial production. Some of these farmer-university connections developed into more than just on-farm trials; they became enduring relationships. 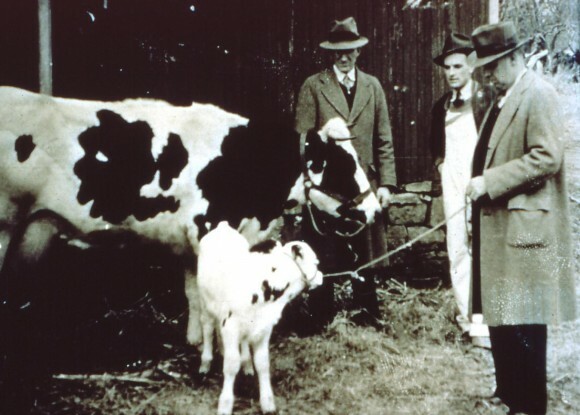 The involvement of one of these farmers serves an example of a farmer relationship that developed into a further connection with the university. 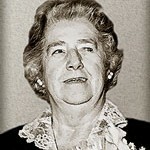 After the passing of Clifford Snyder, his widow Melda bequeathed the Snyder farm to Rutgers upon her death. The Clifford E. & Melda C. Snyder Research and Extension Farm in Pittstown serves as the Rutgers Center for Sustainable Agriculture and carries on the Snyders’ legacy of facilitating advances in agriculture. Another frontier of Rutgers ag innovation was in farm technology. Some modern agricultural applications in use today resulted from Rutgers NJAES innovations and the New Jersey farmers who tested them. 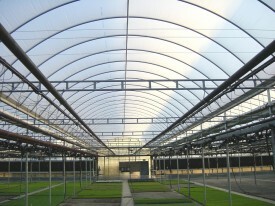 Kube-Pak in Monmouth County, the first commercial greenhouse to test the AIDPG system, currently uses it on 803,000 square feet (18 acres) of gutter-connected double-poly greenhouses. Roberts’ fears were quickly put to the test. “I distinctly remember in the spring of that year on a very windy Saturday staying away from the telephone because we were having hurricane force winds. I didn’t want to hear about the damage to the greenhouse. I heard on the radio that the roof blew off the Polestra, a large basketball arena in Philadelphia and I still received no call from Fred. Finally when I could stand it no longer I called him on Monday morning. He said ‘It was no problem’. The original method of covering on one half of the roof blew off during the storm but the new section was not damaged, so he covered the remaining 500 feet of the entire 1,000-foot long greenhouse with the air inflation system. The Kube-Pak greenhouses today are covered in the same system developed almost 50 years ago.” Kube-Pak is yet another example of New Jersey growers who pioneered an agricultural innovation. 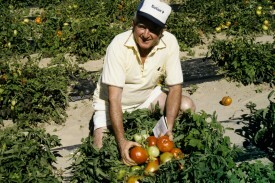 Agricultural Agent Norm Smith testing plastic mulch in a field of Jersey tomatoes. Circa 1970. Also in the 1960s, Rutgers Cooperative Extension of Cumberland County Agricultural Agent Norm Smith was nationally and internationally recognized for his research, particularly on the use of plastic mulch and drip-irrigation systems for vegetable crops. Prior to that work, farmers were using either no irrigation or overhead irrigation, which was not efficient. Today, Smith’s irrigation-and-mulch growing system is used on millions of acres worldwide. 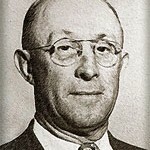 He pioneered work with plastic film mulch and drip irrigation in the U.S. and extended those benefits to agriculturists in South Africa, Canada, Japan and Northern Europe. Many farms have adopted the highly productive and efficient plant production techniques of intensive food production systems promoted by Smith. This integral relationship with Cooperative Extension, the Experiment Station and New Jersey farmers continues today. The 2014 spring season unveils yet another Rutgers innovation from New Jersey farms. Several test varieties of strawberries developed by Rutgers retired plant breeder Gojko Jelenkovic are being tested by Extension agents Bill Hlubik and Pete Nitzsche on several New Jersey farms. Find out more about the New Jersey farm trials for these new varieties of strawberries. See back issues and subscribe to What’s in Season from the Garden State.